Home › Articles › Buhari and Mutually Assured Restoration! Buhari and Mutually Assured Restoration! In the run up to his inauguration, President-elect, Muhammadu Buhari, has been telling the nation of his plans and policy direction and one of those policies is his stated intention to resume the search for oil in Northern Nigeria and specifically in the Lake Chad region of Borno State. Ironically, Borno is one of the states ravaged by the scourge of terrorism which has set that state and the entire Northeast region back in almost every index of human development. If oil is found in the Lake Chad region, it will go a long way in reviving the economy of the Northeast. However, Buhari’s plan has met with some criticism especially in the South were a number of pundits and analysts see the plan as an expensive wild goose chase that would not yield anything. I believe we are being short sighted when we criticize such a plan. Nigeria needs multiple streams of income now more than ever. And if Niger and Chad have struck oil in commercial quantities, it stands to reason that the chances of oil being found in Northern Nigeria and especially the Lake Chad region are higher than we had previously thought when we abandoned the search for oil in that region over a decade ago. Any student of economics will tell you that Nigeria will be more balanced if we can find commercial oil deposits up North. It is just natural. Nature abhors unipolarity and favours bipolarity. That is why things come with a balance. Night and day, hot and cold, up and down, bitter and sweet, fast and slow are examples. The world was a much safer place because of the Mutually Assured Destruction (MAD) doctrine which saw the then Union of Soviet Socialist Republics (USSR) now Russia having an almost equal ability with the United States to assure each other’s destruction which meant that they would never go to war directly against each other. They balanced each other out. However, there was a brief period when only the United States had nuclear weapons and that was the only period in human history when nuclear weapons were used. Do you see how it works? When there was no balance, there was nothing to stop the US from using atomic weapons. But when nature or the divine corrected that imbalance with the rise of the Soviet bloc there was a check on West and vice versa. We can relate this to Nigeria. As long as the overwhelming majority of Nigeria’s revenue comes from oil which is located almost exclusively in the Niger Delta and states contiguous to the region, Nigeria will be vulnerable to shocks of a unipolar economy. Anything that affects the oil bearing region will continue to threaten the rest of the nation and once the actors in that play have tasted this power and no what it is to take action that affects global oil prices, it is going to be hard to persuade them not to use such influence when they feel wronged. It is just like the saying that when all you have is a hammer, everything looks like a nail. But if we are able to find oil in commercial quantities in the North as Buhari hopes, then Nigeria would have a balance of scenarios such that if there are tantrums being thrown in one of the theaters, we could afford to damn those actors and push ahead in the other theater until things return to normal. Such a situation, in my opinion, will ensure that neither side has any incentive to initiate a crisis. It is like a plane. The reason why planes have two engines is not because an aircraft requires both engines to fly. No! A plane can fly and land at its destination with one engine. The problem is that if that engine should fail in the air, the plane would crash, so it is safer to have two engines such that if one of them fails the other becomes the back up. The reason our economy is looking like it will crash, with perhaps half of the states in Nigeria owing workers salary and refusing to take responsibility for it and instead blaming the Federal Government, is because we have only one stream of major income coming largely from one region. In other words, we have only one engine! We seriously need another engine and if Buhari is the man to look for that second engine for Nigeria then he has my support and deserves the support of all Nigerians. Because if he is successful (and the chances are good that he will) Nigeria will enjoy the opposite of what the USSR and The US had, a Mutually Assured Restoration. It is not surprising that Buhari’s plan to invest funds in the search for oil in the North is unpopular in the South. Many Southerners erroneously think the North is dependent on the South. In actual fact, the reverse is the case! The most basic human need after oxygen is food. If the North is dependent on the South for foreign exchange, then the South must know that she is dependent on the North for her food security. Nations can survive without oil, but they cannot survive without food and many of our staple foods be it Rice, locally grown wheat, cows on the hoof, tomatoes, peppers onions etc, come from the North. The point I am trying to make is that we need each other and we have to move from a philosophy of competition between North and South to one of cooperation. And many of the stereotypes we hold of Northerners down south are not true at all. Many Southerners see the North and Northerners as a backward Muslim people adverse to Western education who would rather not stay in Nigeria except that they cannot survive on their own without the South. So when Southerners read that a community like Chibok, in the core North is overwhelmingly Christian, their stereotype is challenged. When they become aware that the richest black man and African on the planet is from the core Northern state of Kano their stereotype is challenged. When they realize that a very large proportion of the population of the North is educated, that stereotype becomes questionable. And, yes, a very large proportion of the North is educated! The issue is that because we see education as a Western phenomenon we fail to look at it holistically and historically, thereby believing that if you are not Western educated then you are not educated. But that is far from the truth! Centuries before many in the South learnt to read and write in the English language, our Northern brothers and sisters have been writing in a quasi indigenous script called the Ajami script. Hausa has been written in ajami, since the early 15th century. There are centuries old literary material and letters written in this script and you must have respect for people who developed intellectual learning methods long before Western civilization came to our shores. Many of us read about Uthman Dan Fodio in history, but unfortunately, contemporary history has limited his role in Nigeria’s evolution to that of a jihadist fighter. In actual fact, Uthman Dan Fodio was a scholar. Even that word ‘Fodio’ is Fufulde for scholar or learned one. His own mother, Hauwa and his grand mother, Rukayya, were also ‘fodios’ and taught others. This is in the 17th century mind you. The fact is that long before Western education arrived the shores of Southern Nigeria, Northern Nigeria had already experienced centuries of indigenous and Arabic education. So let us begin to shatter our stereotypes of each other and accept each other based on the fact that if God did not desire it to be so, we would not be Nigerians. Having found ourselves as Nigerians, let us make the best of it by using our energies to work together so we can make progress, rather than using if to fight each other in a Mutually Assured Destruction (MAD). I am all for a Mutually Assured Restoration and I urge all Nigerians, both Northern and Southern, to understand our differences (because it is foolishness to think that we can forget them) and learn to coexist in peace and prosperity. 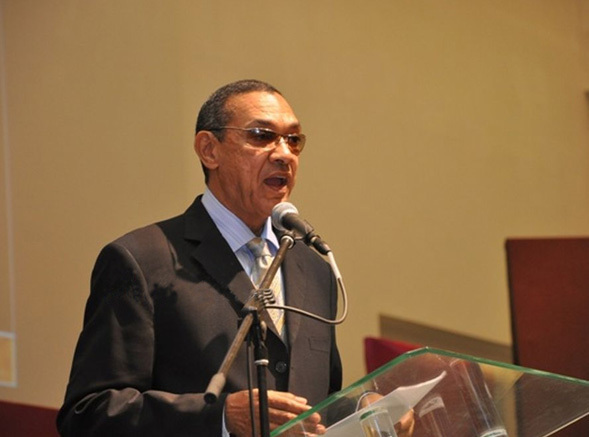 •Ben Murray Bruce is the Chairman of the Silverbird Entertainment Group and a Senator-elect. Okay now,this is really making a lot of sense.This just totally made my day.Very articulate sir,but please,when you get to the senate,be a vibrant opposition,and Nigerians will love you.Do not be pressured to join the now rulling party. This is a welcomed development. It’s admirably the incoming government plans on striking a balance. I just hope this plan sails through the storm, as many will oppose this plan, as trying to invest in the north. It’s quite a pity, that we call ourselves Nigerians but we don’t see beyond our tribalistic ways. This is about balancing the equation, as earlier stated, I just hope other see that too. What a good write up. First time i am going to concur with this man. Is there no more separation power iin BUHARI ADMINISTRATION ?